Home » Politics » Kerala: Did a Congress faction help BJP's Rajagopal win Nemam? Did a faction of the Congress have a secret understanding with the BJP to help O Rajagopal win? Ramesh Chennithala won Haripad after the BJP shifted its candidate VV Rajesh. Quid pro quo for Nemam? 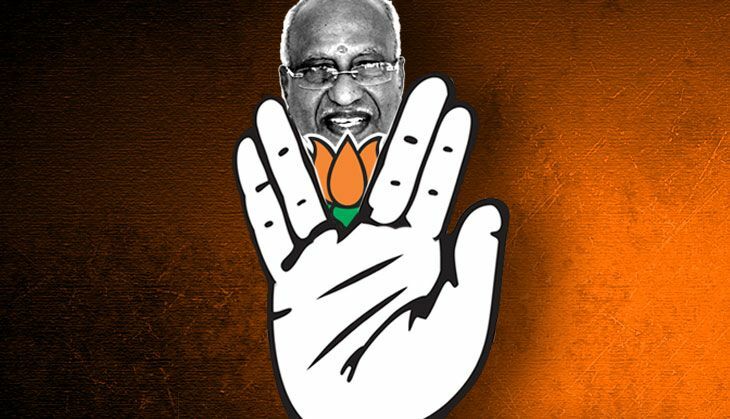 Election after election, as the BJP, and its previous avatar the Jana Sangh, failed to win a seat in Kerala, the Sangh Parivar would accuse the CPI(M) and the Congress, otherwise bitter enemies, of "colluding" to keep the Hindutva party out of the assembly. Now that the octogenarian O Rajagopal has won a seat, Nemam, for the BJP - at his tenth attempt - the discourse has changed. While the Hindutva forces, from Delhi to Kanyakumari, are celebrating the breakthrough, the CPI(M) and the Congress are blaming each other for "not ensuring" the BJP's defeat. The victory in Nemam, which falls in the Thiruvananthapuram Lok Sabha constituency represented by Shashi Tharoor of the Congress, obviously has great symbolic value for the BJP. It was particularly mentioned by the party's president Amit Shah in his reaction to the verdict of the five assembly polls. But Rajagopal's win is not the only reason for the BJP to be jubilant about the Kerala result: the party also stood second on as many as seven seats. "This is just the beginning. In the next election, we will be a force to reckon with," an elated Rajagopal told Catch. he rival camp seems to have sensed as much. "The Congress overlooked the grave implication of letting it go in Nemam. This isn't just the victory for Rajagopal," said CPI national secretary Atul Kumar Anjaan. He jokingly added, "Maybe Shashi Tharoor can look forward to Hindutva votes in the 2019 Lok Sabha election," Anjaan joked. The CPI(M) and several of its allies in the LDF have been even more blunt, accusing the Congress of entering into a "secret understanding" with the BJP in Nemam. In fact, some LDF leaders, including chief minister-elect Pinarayi Vijayan, have gone so far as to accuse the local Congress leadership of taking money from the BJP to divert their votes to the Hindutva party. Even the Congress-led UDF's own candidate in Nemam, Surendran Pillai of the JD(U), has expressed "suspicion" over the outcome. He suggested that the 13,800-odd votes he polled, which placed him third, were his personal votes. "The UDF surely has got more votes in this seat," he said. In the run-up to the polls, CPM and Congress leaders had roundly ridiculed the BJP's ambitious drive to make "lotus bloom" in the southern state. The veteran Marxist VS Achuthanandan had dismissed it with the snide remark that "lotus would bloom in Kerala only in ponds". Congress elder AK Antony had declared that "the BJP persons would enter the Kerala assembly after taking visitors' passes". Against such odds, how did the BJP manage to win? There's talk that internecine quarrels in the Congress, between factions led by Oommen Chandy and Ramesh Chennithala, depleted the party's votes in not just Nemam, but several other constituencies as well. It's even being alleged that one of the factions did, indeed, have a "secret understanding" with the BJP. As evidence, the critics point out that the BJP did poorly than expected in some constituencies, including Haripad, which was carried by Chennithala. Allegedly, it was after the "secret understanding" was reached that the BJP moved its state secretary VV Rajesh out of Haripad to Nedumangad constituency although he had a "better chance of winning" the former. Konni is being pointed out as another constituency where the BJP polled less than the party's standard vote share, to the benefit of the Chennithala faction of the Congress. UDF's Nemam candidate says the 13,800-odd votes he polled were his own. Where did Congress votes go? This faction has now staked its claim to the post of Leader of the Opposition, arguing that its members outnumber Chandy's in the assembly. Meanwhile, political observers describe the violence that broke out between supporters of the Left and the BJP after the result as a "reaction to Nemam victory". While the BJP, which has already approached the President on the issue, has argued that the Left was trying to intimidate its cadre after failing to stop it from winning in the election, the Left has alleged that the violence was an "act of frustration" on part of the Hindutva forces over the Left's comeback. TWEET THIS Did a faction of the Congress have a secret understanding with the BJP to help O Rajagopal win? Ramesh Chennithala won Haripad after the BJP shifted its candidate VV Rajesh. Quid pro quo for Nemam?